Kevin Kaplan is the Vice President of Marketing and Technology at Long Realty Company, southern Arizona’s leading real estate company. Long Realty Company is a Berkshire Hathaway affiliate and a wholly-owned subsidiary of HomeServices of America, Inc. Since joining Long Realty in 2008, Kevin has been recognized as an industry leader and innovator. In 2012 Long Realty Company was recognized as the Most Innovative Brokerage by Leading Real Estate Companies of the World. Kevin has 18 years of experience in the real estate industry in marketing, technology and business management. Prior to joining Long Realty Company, Kevin was Vice President of Marketing and Business Development for ForeclosureRadar.com, Senior Vice President for Century 21 M&M and Associates, and Director of Marketing for both Century 21 Real Estate Corporation and Cendant Corporation. 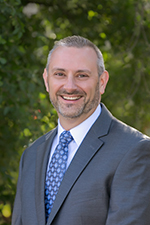 Kevin sits on the Strategic Technology Advisory Group for The Realty Alliance, is a Board Director for the Multiple Listing Service of Southern Arizona, a Board Director for Greater Tucson Leadership and Board President for the Cascade Foundation of Southern Arizona.